New Me – Life Journal – Stronger. Braver. FIGHTER. 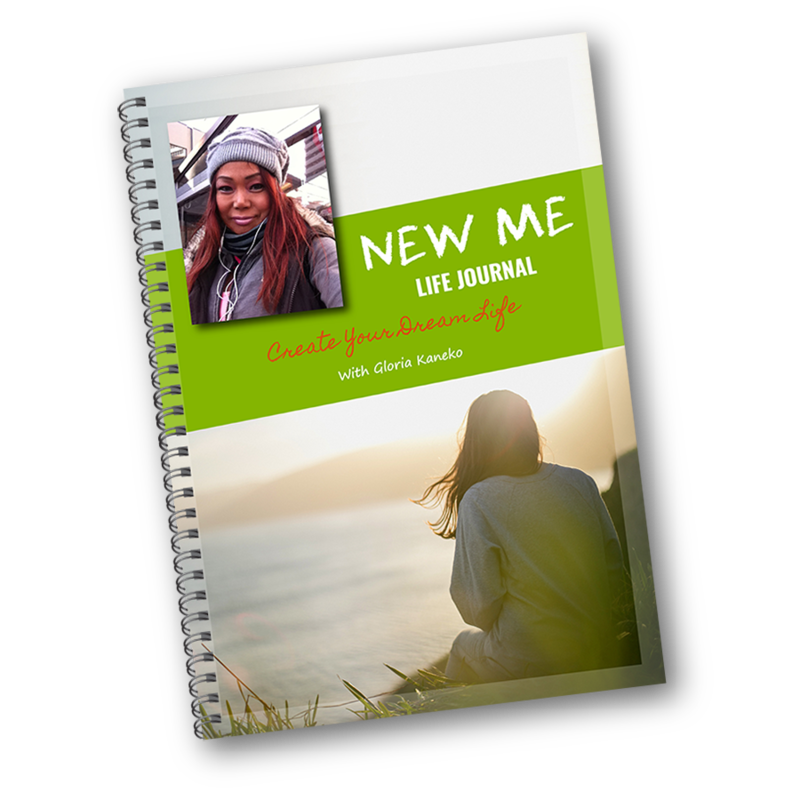 The New Me Life Journal by Gloria Kaneko is an 85-page digital PDF e-book available for instant download. It’s your personal resource that gives you everything you need to design, create and start living the life of your dreams. It comes with 3 free bonus e-books. New Me is much more than just a Life Journal. It teaches you and guides you through the 7 steps to creating a new life – your dream life of true happiness and success, and is packed full of motivation, inspiration, information and exercises to bring your dream life to reality. The 7 steps take you through a journey of personal self-rediscovery, to setting of life goals that are in sync with who you are as a person, to designing an action plan for creating your new dream life, to using powerful mental strategies for bringing that life to reality. Each step includes insightful, life-changing exercises for you to work through, and it is this immersive, interactive process that engages you mentally and emotionally to truly understand what it is that you want from your life and how to get it. New Me gives you everything you need to design, create and start living the life of your dreams. These classic works of practical wisdom are perfect complements to help you create limitless success and happiness in your life!